Saturday afternoon I had the opportunity to meet Tom Hiddleston who plays “Loki” in Marvel’s The Avengers. I’d recently watched Thor so I knew his character and I was curious to see what he would be like in person. Loki is pale with shoulder length dark brown hair and always looks ominous. When Tom came into our room in the Penthouse of the Trump Soho hotel, I could see right away he was the total opposite of his character! He was warm, funny and incredibly charming plus extremely handsome. He has these amazing blue eyes that light up when he is talking. His hair is nothing like Loki’s! It’s actually more of a reddish brown. Here’s a picture of him seated just a seat away from me!! My heart was pounding and I was so nervous! Tom shook all of hands and we introduced ourselves. I thought that was so nice and it made me like him even more than I already did! It really was so special to me to have this opportunity and after the interview was over I was definitely on #TeamLoki! Check out the transcript of our group’s interview with Tom Hiddleston! Tell us how much you like playing such an evil bad guy. Tom Hiddleston: Well, because I played him before, I kind of feel like I’ve got both my arms around him. And I understand underneath all of his like, evil and anger and madness and mania, there’s a sort of emotional heartbreak. But it was really fun to cut loose and just let my hair down, literally and metaphorically. Joss — Joss Whedon — said that we had to make him more dangerous. We had to make him more menacing. Because these superhero films, when they really work, and I think this one does, purely because of Joss’s immaculate writing and direction, the sort of fist-pumping redemption-drama is earned by the heroes having to overcome an obstacle. And your fist is pumping for Iron Man, Hulk, and Thor and — and Captain America and all of those guys because I am that obstacle. So someone’s got to do it, basically, and it was really fun. And it was like being a kid, too. There were days where I had a harness underneath my costume, and wires, just underneath it, and attached to the sides, and I was just flying around, like a circus act, like a kid, basically. When you signed on to be in “Thor” and “The Avengers,” did you actively want to be part of a superhero movie that could potentially inspire children today to grow up with a love of Superheroes? Tom Hiddleston: Yeah. Absolutely. And I don’t think it was something that I really remembered until I had gone through a period of exploring other things, expanding my tastes in other directions. As a kid, I loved superhero films. “Superman.” “Indiana Jones.” Tim Burton’s “Batman.” And then as a teenager, I sort of went off into more refined things, like I discovered foreign language cinema and foreign language stuff and Shakespeare. And your taste is just more refined. And then I kind of remembered actually why I signed up in the first place. It’s because of Christopher Reeve and I just thought, “Wouldn’t that be amazing?” Before I’d even conceived of acting as a job, before I knew you could make a living being an actor, I wanted to be Superman. And, I think, if you get this kind of a film right, you can enter a child’s imagination in the most extraordinary way. How do you find reactions from fans or kids to Loki’s character? Tom Hiddleston: Mark. Mark Ruffalo’s son. I kind of dedicate my performance to his son, his ten-year old, because he was on set a lot. And Joss Whedon and Kevin Feige, the producer, were enormously supportive on set. They were very complimentary when they liked something that I was doing. I would do a take, and they would say, “Awesome. You got it. And Kevin Feige would be like, “God, that was great. Let’s move on.” And you get on with the day. The days that Mark’s son was there, he was like, “Awesome job, Tom. Then Mark’s son would say, “Oh, my God! Tom! That was incredible! That was the most awesome thing I have ever seen!” And I’m like, “I am doing this for you.” And, you know, there were days when Mark would come in with — just to watch, because he wanted to watch. He’d be like, “I’m sorry. We’re here again. He just loves you.” And then you realize that that’s the power that these films can have. It’s such a beautiful thing. It’s a really amazing privilege. In bringing this character to life, it’s a huge thing, because you know they already have their stories established and things like that. So were there any particular details and nuances you tried to add to the character the audience should really look for? Tom Hiddleston: I hope that anyone who has seen “Thor” can recognize him, and there is still this spiritual damage at the heart of him, underneath his anarchy and his chaos and his anger and destructiveness. That there is still a vulnerability there. I hope that people see that he’s kind of — stylish. Tom Hiddleston: He’s just like, terrifying and — and hateful, there’s a sort of a strange elegance or something that he has. I hope that people love to hate him or hate to love him. 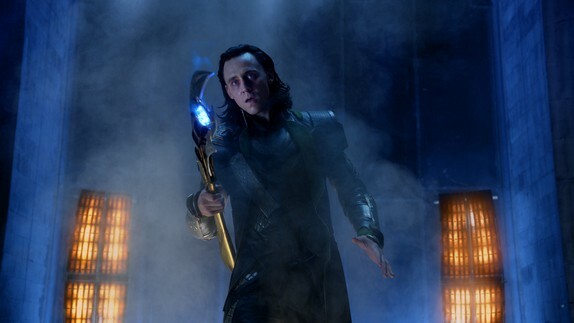 Is Loki really a villain or is he just jealous of his big brother? Tom Hiddleston: I always think of him as an antagonist as opposed to a villain, but only because every villain is a hero in his own mind. All of us in the world as we move forward with our lives, we make choices, and we like to think that they’re the right choices. And Loki is making all the wrong choices. So he’s tragically deluded, and borderline insane, but he still thinks, in the narrative of his life, he’s a hero. So, I guess, let’s just say I believe in flawed heroes and heroic villains, and I think he, Loki, is a kind of a heroic villain, in a way. Was this villain particularly hard to walk away from after you were done? 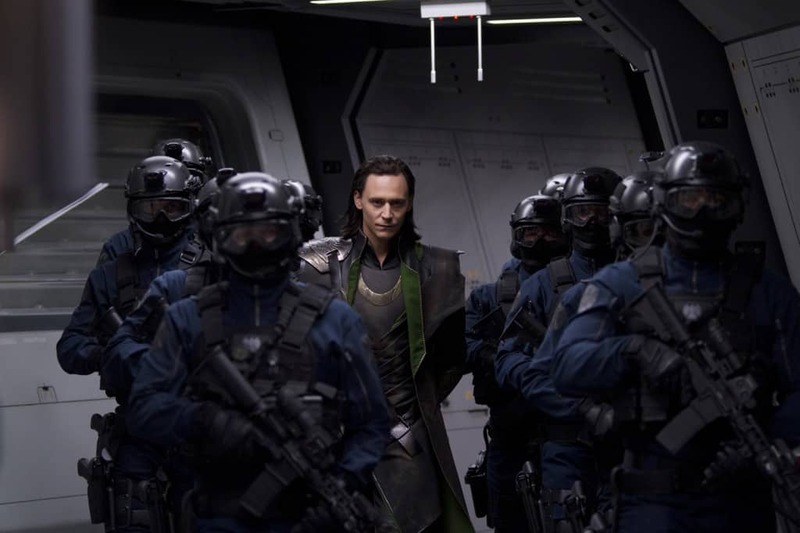 Tom Hiddleston: This was really the only villain I played, interestingly. I mean the only out-and-out bad guy. It’s funny, as a kid, my sisters and my cousins and I used to write plays and perform them at the end of the summer for our parents, and I would always be the evil wizard. Or a dastardly pirate. And then something happened. When I got to about the age of 16, I was constantly playing good guys. Romeo. Cassio. Othello. Capt. Nichols in “War Horse.” Some people who had a decency in them, or a warmth to them. What I love about playing Loki is his complexity. There’s just so much there. You know, he is this fascist, basically. He’s a megalomaniac. He thinks he’s a king, but he’s also a brother and a son. And he’s really getting lost — he’s like a lost child in the body of a very powerful chess master. Someone with a chess master’s intelligence, and it’s easy to manipulate people. What would you say that Loki’s chasing in his efforts? Tom Hiddleston: He’s chasing power. But the reason he’s chasing power is because, really, he’s chasing self-esteem. Anyone who feels powerful has no need to reach for it. And those in the world who feel they aren’t powerful, they seem to have no self-love, no self-esteem, are constantly trying to get the power. So, in this film, he’s not going after the acceptance of his family or his father or brother anymore like he was in Thor? Tom Hiddleston: That’s probably part of it. I mean, the void that descends on him, the big, empty space, is a sort of wounded black hole, it’s caused by a sense that he was never loved by anyone. And so that’s the case, then he has nowhere to belong. And if that’s the case, then he’ll find somewhere. Which he will fashion as a place to belong. So that’s that the earth is. He’s come down to earth to make himself a kingdom. I think everyone agrees that he was pretty spectacular! Those gorgeous eyes –Be still my heart!!! !